Price slashed for a four night short break commencing Mon 22nd April. Now just £285.00. A week commencing Fri 10th May. 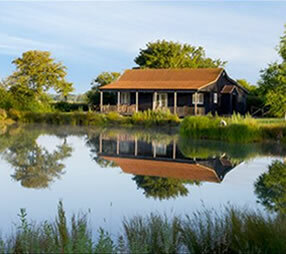 or a three night short break commencing Fri 10th May. Come and enjoy Suffolk in the Springtime. 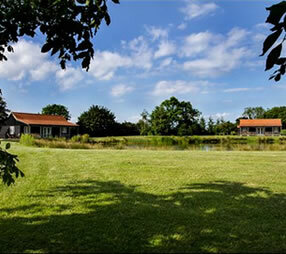 Rumburgh Farm is a small working family farm in a peaceful rural village in the heart of North Suffolk offering self catering accommodation. 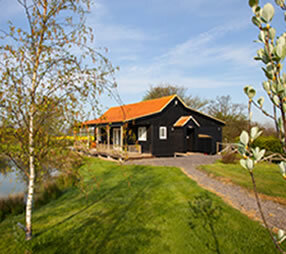 Our two spacious holiday lodges offer you the chance to relax and enjoy the peace and quiet whilst overlooking the two lakes and open countryside. 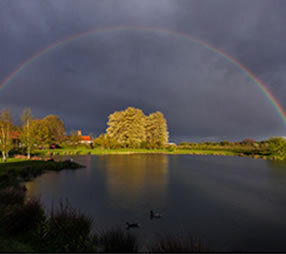 The area has plenty to offer visitors – quiet country lanes for cycling or walking, interesting bird and wildlife as well as local history. 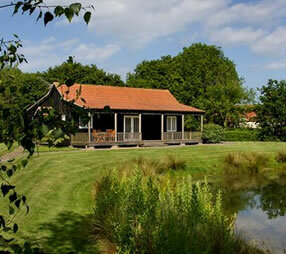 How about spending time on the self catering lodge verandah and taking in the `big skies` of Suffolk? Rumburgh is a small village with an excellent local pub but if you want more hustle and bustle, we are situated between the thriving market towns of Halesworth to the south and Bungay to the north and within a short drive of the charming seaside holiday town of Southwold. 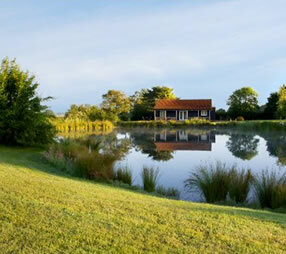 If you are looking for a relaxing self catering holiday in Suffolk, please contact us. We look forward to welcoming you to Rumburgh Farm. "We`ve had a wonderful holiday. Highlight was the kingfisher who came and sat on the verandah – what more could one want."